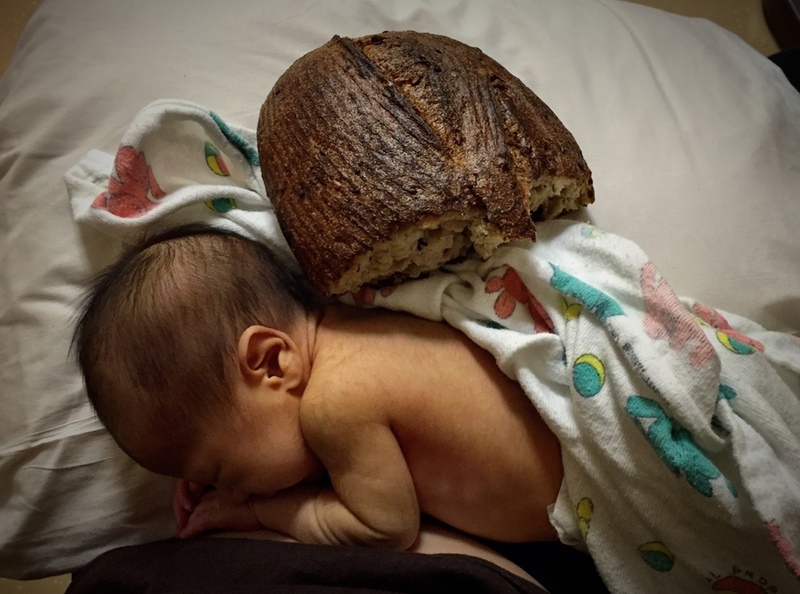 Food for new parents: friends have always told me that they have really appreciated food brought to the hospital in the days just after a new baby is born. The food at the hospital we are in isn’t bad, but they don’t have an option to bring food for dads; we have to leave to eat or have something brought in. Today, Ann brought coffee and breakfast sandwiches in the morning, Char brought Vietnamese food for lunch, and Jan & Peter brought tons of yummies from Tartine Bakery & Cafe. Not a bad food day–thank you, everyone!